This incredibly useful soft leather wallet holds everything you need to carry with you. Its many pockets help you organize your possessions so they are easy to locate. 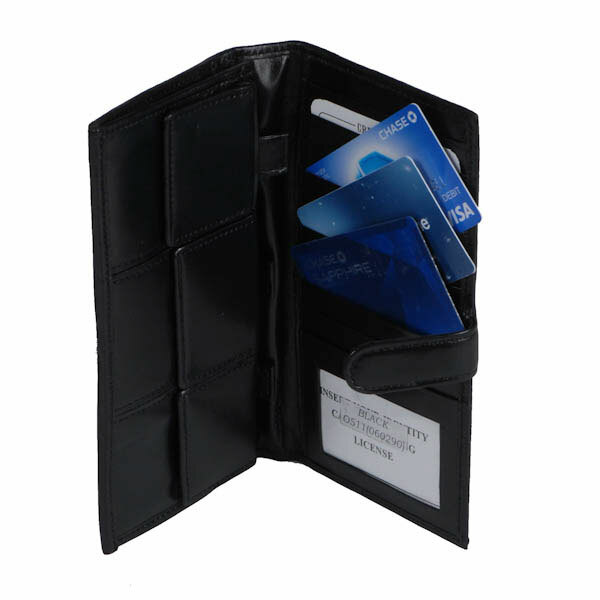 The compartments are easily accessible and include: 3 separate coin pockets, 5 compartments for bills, 10 spaces for credit cards, a driver's license, checkbooks, and more! Its velcro closures are safe and easy to open. Measures 8" X 3 3/4".